BrandAppZ was founded in 2009 as petite squad of extremely zealous developers, social media enthusiasts, and internet marketing enthusiasts who are experienced in delivering applications and websites on the internet from scratch, fabricating perpetual traffic and user engagement through content marketing and social media management. Headquartered in Gurgaon, it is founded to help firms – small, medium and large – leverage the immense power of Social Media, Internet Marketing and Technology to amplify Consumer Awareness, Market Share and most importantly, Revenue. We help businesses astutely intertwine Social Media to their existing Marketing Campaign and PR Pattern so that engagement, interaction and consumer ‘buzz’ can be generated across multiple platforms. Our expertise allows us to swiftly develop social, viral, and engaging marketing solutions that can be promoted on the internet to assist brands in connecting with the speedily mounting user base on all major social networks and develop a word-of-mouth about their brand, products and services. Since users, who connect with Social Media, are early adopters of new products and services, it becomes easier for brands to utilize our wonderful campaigns to erect anticipation and a build up for what is yet to arrive. Our promotional strategies get people conversing about brands and their products and services. This, sequentially, facilitates our clients to promote their offerings, gather authentic consumer feedback and experiment with innovative ideas. 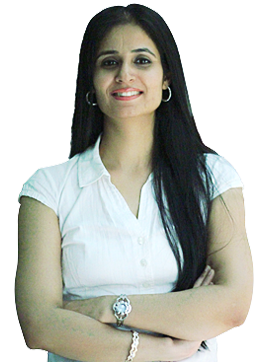 We believe in following a Holistic Approach towards our Technology & Marketing Model. A holistic outlook helps us in engaging personally with the user. You can consider this as different levels of the user: physical, emotional, and mental. We endeavor to meet the clients’ requirements & deliver out-of-the-box solutions with the quickest turnaround time possible. We partner with Top-Notch brands, Small and Medium Enterprises, Digital and Social Media Agencies, PR and Creative agencies, Consultants and Publishers. Our youthful and fanatical team, veracity and a strong belief in ‘Commitment to Clients’ are our strengths. Brands choose us because we know how to bring business objectives to life in a ingenious, strategic and quantifiable manner. Our methodical approach insures that your organization meets its Technology and Social Media objectives and positions itself to meet the altering panorama of the medium. Passionate, entrepreneurial & cognizant- that sums him up! 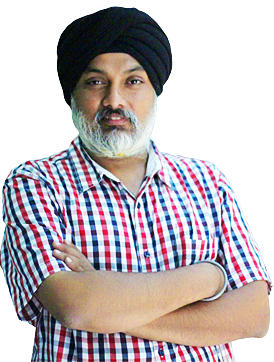 Harpreet is a great captain with a heart of gold, highly trusted & respected by both- his own team & the clients. Being CEO and Co-Founder means he’s busy setting the vision for BrandAppZ and expanding its array of services provided. 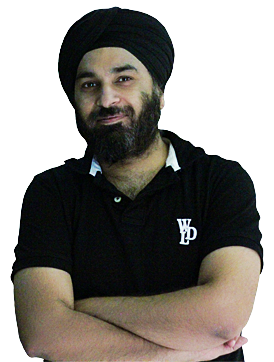 With more than 19 yrs of experience in the digital industry and an exceptionally rare blend of techno-commercial knowhow,he has been strategizing and executing Social Media, Digital & Mobile strategies for prestigious brands. Jaspinder is focused, meticulous & a perfectionist. When it’s about strategies, she chooses to be client-centric & when it comes to people, she believes in standing up for her team.As COO & Co-Founder, Jaspinder focuses on overall organizational strategies, partnerships, and operations. As a business leader in the Social Media Industry, she has spent time with, studied, and discovered the success secrets of content marketing. Promoting & marketing BrandAppZ is what drives her at all times. Positive, scrupulous & patient, Jai is the Tech-brain at BrandAppZ. He thrives on technical challenges and delights in new technologies. An ex-sapient, Jai is currently the CTO at BrandAppZ who has taken up the responsibility of driving innovation through R&D and designing scalable solutions for our clients. He leads BrandAppZ’s highly skilled and super-awesome technology architects who apply new technologies and architectural foundations in building solutions for clients across industries.